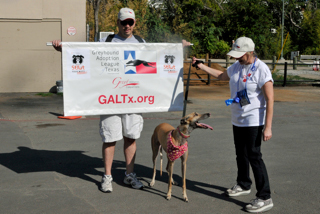 GALT participated in the national Strut Across America fundraising event! 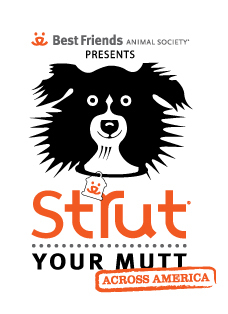 This annual event is presented by Best Friends Animal Society, and GALT participated as a partner in the Best Friends Network Charities. Many thanks to the seventeen people who signed up as members of GALT's "Dog Pack". Together we raised $4685 in donations! And the in-person participants had a fine time strutting our not-so-muttish greyhounds along the Katy Trail. The after party at the Katy Trail Icehouse was well attended, and everyone had good food, and a great time hanging out on the patio with their greyhounds.